Origins Recovery Centers provides a comprehensive continuum of individualized alcohol and drug addiction treatment programs and recovery support services for adults, including those with co-occurring disorders. Origins’ treatment approach unites effective addiction medicine and evidence-based clinical strategies with a profound immersion in the timeless 12-Step experience. We’re glad you are seeking information about the comprehensive world of substance abuse treatment offered by Origins Recovery Centers. Our world-class residential and outpatient recovery centers provide treatment programs that are designed to serve the broad range of needs common to someone needing professional help. We provide much more than just treatment – we offer real solutions to real families. We offer several locations to meet your needs. 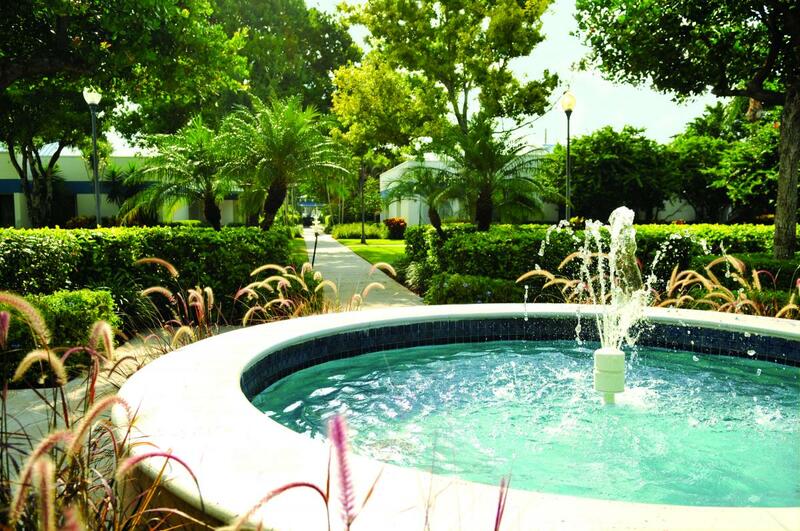 With centers nestled in tropical settings of South Padre Island in Texas, and West Palm Beach and Vero Beach in Florida, Origins Behavioral HealthCare offers clients a variety of focused treatment options as they arrive from all around the world to receive the extraordinary care provided by our professional staff. Origins delivers a highly-individualized, longer-term treatment experience that holistically nurtures the mind, body and spirit in the transformative process of recovery. Origins’ treatment programs are fully individualized based on the clinical and medical needs of each client. Length of stay at Origins is determined largely by a client’s actual progress. Origins’ specializes in treating clients who have previous failed attempts at treatment and sobriety, including those suffering from co-occurring disorders. Origins’ mission involves bringing the highest-quality treatment within reach of those who seek it. We offer affordable self-pay treatment rates, as well as accept most health insurance policy’s out-of-network benefits. Contact an Admissions Specialist to discuss payment options including insurance, financing, scholarships and payment plans. We are committed to working creatively to lower financial barriers and help you access premium patient care at Origins Behavioral HealthCare. 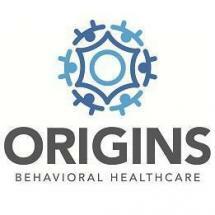 Excellent medical care is a fundamental component of treatment at Origins Behavioral HealthCare. Our diverse medical team consists of internists, psychiatrists, nurse practitioners and supportive nursing staff. Throughout treatment, clients see Origins’ physicians daily for regular check-ups. Clients are seen by the nursing staff on a daily basis for medication administration, vitals and other daily care appointments. For any specialty medical needs, Origins partners with acclaimed local hospitals and physician practice groups. Our licensed therapists utilize a wide variety of therapeutic modalities and techniques in the treatment of our clients. Clients enjoy frequent individual and group-based contact with their therapists. At Origins, we employ evidence-based therapies including Cognitive Behavioral Therapy, Gestalt Therapy, Psychodrama, Interpersonal Therapy, Adventure Therapy, Arts Therapies and more. See our interactive Daily Schedule for a more complete understanding of the diversity and intensity of the clinical interventions offered at Origins. It matters greatly where one goes for treatment. At Origins, we are serious about recovery and healthy, abundant living. Discipline, honesty, accountability and integrity are constant themes in our programming. We believe that drug and alcohol abuse are only symptoms. Effective treatment addresses the underlying behaviors and habits that persist at the root-level of addiction. Our daily schedule and content are carefully designed to bring about significant change in the habits and belief systems of our clients. Origins’ treatment culture is deeply infused with the 12- Steps which have consistently been shown to be the effective foundation for permanent sobriety in the lives of millions. A passionate emphasis on the 12-Step experience is one of several key programmatic features that sets Origins apart from the majority of treatment providers. Our clients do more than learn about the 12-Steps; they have an authentic, personal experience with them. At many large treatment centers, clients are able to “hide in the herd” and skate through treatment without really doing the hard work necessary to recover. Not at Origins. Our treatment systems limit our client numbers, foster accountability within the community, maintain excellent staff-to-client ratios and leverage the community design of our campuses. We offer client-driven care, and clients in need of gender-specific treatment receive it. Adventure therapy involves the creation of opportunities to explore the unknown in a safe environment through adventurous activities. It is a cognitive-behavioral-affective therapeutic approach which utilizes experience and action within cooperative games, trust activities, problem solving initiatives, animal-assisted experiences, high-adventure and outdoor pursuits to strategically enact change through personal and group challenges. All adventure therapies are optional and no client is asked to challenge themselves beyond their own personal physical abilities. Activity choices include: 150’ bungee-jump challenge, rock-climbing wall, equine-assisted therapeutic experiences, arts therapy, among others. Nutrition and dietary care are important aspects of treatment at Origins Behavioral HealthCare, and we are known for our outstanding cuisine. When active in addiction, addicts and alcoholics practice notoriously poor eating habits. Our nourishing menus are specially designed by a licensed nutritionist to help our clients return to health while providing them with opportunities to learn about proper nutrition and diet. 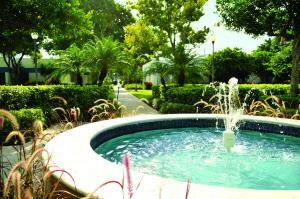 Origins’ fantastic cuisine is prepared fresh daily by a professional chef and kitchen staff. Addiction and alcoholism punishes the sufferer’s body, mind and spirit; it is critically important to address all three in recovery. During treatment, Origins helps clients begin to heal their bodies from the neglect and abuse suffered during active addiction. Each day, clients are asked to participate in some form of physical activity. Origins offers a number of opportunities to exercise and “get the pulse up” including yoga, weight training, swimming (pool and ocean), beach running, volleyball and more. Our weight training gym has numerous free weights, machine-based weights, bench-based weights and elliptical machines for low-impact workouts. Ceasing alcohol and drug usage is the first step in recovery, but lasting sobriety requires a person go much further. Origins is committed to treating the whole person. Our Life Skills curriculum is aimed at helping our clients develop those fundamental skills and disciplines necessary for successful daily living. Utilizing our Vocational Aptitude Assessment to examine each client’s unique abilities, we are able to address specific needs such as financial wellness, etiquette, public speaking and proper self-care. Additionally, we spend time each week focusing on a wide variety of practical skills such as homemaking, cooking, laundry and cleaning, so that our clients are ready to return to life at home. Origins’ Family Healing Program™ is an intensive five-day long retreat. Origins’ Family Healing Program™ is designed to provide a multifaceted therapeutic experience for client and family members alike. Client families participate in psycho-educational and medical lectures, psychodrama and didactic sessions, private counseling opportunities and experiential activities. Families receive Al-Anon and 12-Step exposure and have time with their sober loved one within the group setting. These holistic programs educate family members about the disease model of addiction and recovery and lay the groundwork to help them begin their own personal recovery from the pain and wreckage of chemical dependency within the family system. Individuals often lose their way as they go from the treatment environment, which offers a great deal of structure and accountability, to a home with little or no support at all. The significant change in therapeutic intensity can be an overwhelming experience that can compromise recovery and result in relapse. Transitions is an Origins’ treatment step-down program specifically designed to provide concentrated clinical, medical and recovery support during the delicate month immediately following completion of Origins Recovery Centers’ residential treatment programs. Origins’ Monitoring and Accountability Program, or “MAP”, is designed to provide vigorous accountability, 24-hour personal recovery support and early detection of relapse behaviors in participants living anywhere in the United States. Through a combination of localized substance-use testing and frequent contact with clients and those around them (therapists, sponsors, housemates, family members, spouses and employers), our MAP Specialists maintain a real-time perspective on clients’ behaviors. In this way, we are able to quickly detect subtle relapse behaviors and provide effective intervention and corrective support before drug or alcohol use occurs. Origins is proud to offer free alumni support in select US cities where available. Each week, Origins alumni participate in a therapist-facilitated group offering a forum of support, education and Often involving food and fun, alumni find camaraderie with peers who have been through our programs. Alumni support staff frequent these groups adding to the engaging feel of meetings. Origins’ treatment philosophy represents a rare fusion of contemporary addiction medicine and clinical sciences with a profound immersion in the timeless 12-Step experience. We leverage evidence-based clinical and pharmacological therapies within the classic 12-Step framework to deliver a compelling system of individualized treatment that effectively anchors modern treatment sciences in the 12-Step paradigm. If you or a loved one has a problem with alcohol or drugs, it is critical to find the most effective and appropriate help. Our knowledgeable, experienced Admission Specialists will respond quickly to your inquiries and help you to determine if Origins is the right addiction treatment resource for you. Origins believes in a holistic approach that addresses the mental, physical, emotional and spiritual aspects of every individual. As mental and emotional disorders often occur alongside addiction, these are identified and treated by our team of caring physicians, psychiatrists, counselors, nurses and support staff. The pre-admission process at Origins Recovery Centers begins as soon as an Admissions Specialist responds to inquiries about treatment for the disease of addiction. After reviewing all application and pre-admission information, an Admissions Specialist will help you determine whether Origins is the appropriate drug and alcohol addiction treatment center for you or your loved one. When Origins has been determined as the appropriate treatment center, the Admissions Specialist will guide you through the pre-admission process and make an appointment for date and time of arrival. Admission may be scheduled 24/7, and emergencies are accommodated. At times, treatment for addiction is suggested by family members, but the individual refuses treatment. An Admissions Specialist can help determine if a professional intervention may be necessary or whether to enlist the help of a therapist or counselor. The Admissions Specialist will also be able to make the appropriate referral to a qualified professional to guide the family through the process of intervention. Date of admission can be secured before an intervention. Call us at 1-844-U-GET-WELL (844-843-8935) . The admissions process can be completed within a 24-hour period. An Admissions Specialist will help you determine whether Origins will meet your unique individual and family needs. They will also assist you with identifying financial resources when necessary.